It is only natural to read this title and wonder, “what does it mean to ride a bicycle ‘critically? '” It is, after all, just a phrase we came up with about a year ago. “Bicycles are excessively charming and are tied to a certain code of conduct. There must be something to them.” we thought and clumsily announced to our school in the spring of 2016. “This year, we begin our search for Critical Cycling,” we said. And, together with those who enjoyed our presentation, we began our physical and intellectual ride. Critical Cycling participants include not only students and faculty, but others related to the school and the region. Concentrating on weekend and early morning rides, we layer this with discussion, investigation, and production. Our scholarly and descriptive activities have included the gathering of film and written material, the taking of research trips both domestically and abroad, the exhibiting of our experimental creations, and the drafting of our cycling manifesto. Through these efforts, we have tried to discover what exactly our group should be. Figure 1: Critical Cycling’s first Tweet. I was not a born cyclist, but there were more than a few portentous events. In 1961, Max Matthews arranged “Daisy Bell (Bicycle Built for Two)” to be the first song sung with computer-synthesized vocals. In 1980, Steve Jobs called computers “bicycles for the mind.” This was before he had developed the Mac, not to mention the iPhone. In 1983, Kraftwerk, a pioneering techno-pop group, released their single “Tour de France.” The song’s motif was not heavy industry or cutting-edge technology like in their previous work; rather, it was bicycles. 1997 marked the founding of the company “Cycling ’74”, developer of the programming environment “MAX” (named for Max Matthews). Then, in 2007, the iPhone came on the market, signaling the beginning of the mobile era. Before long, IAMAS graduates developed applications for use with cycling. 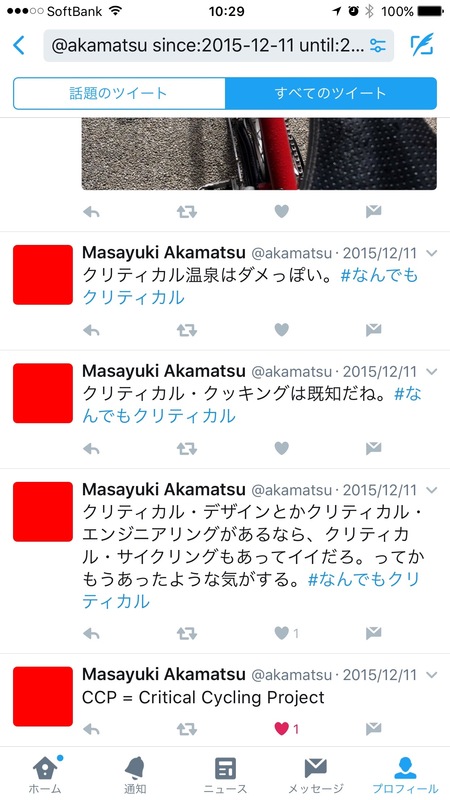 That might sound a bit contrived, but bicycles manifested themselves in one form or another throughout my previous activities. 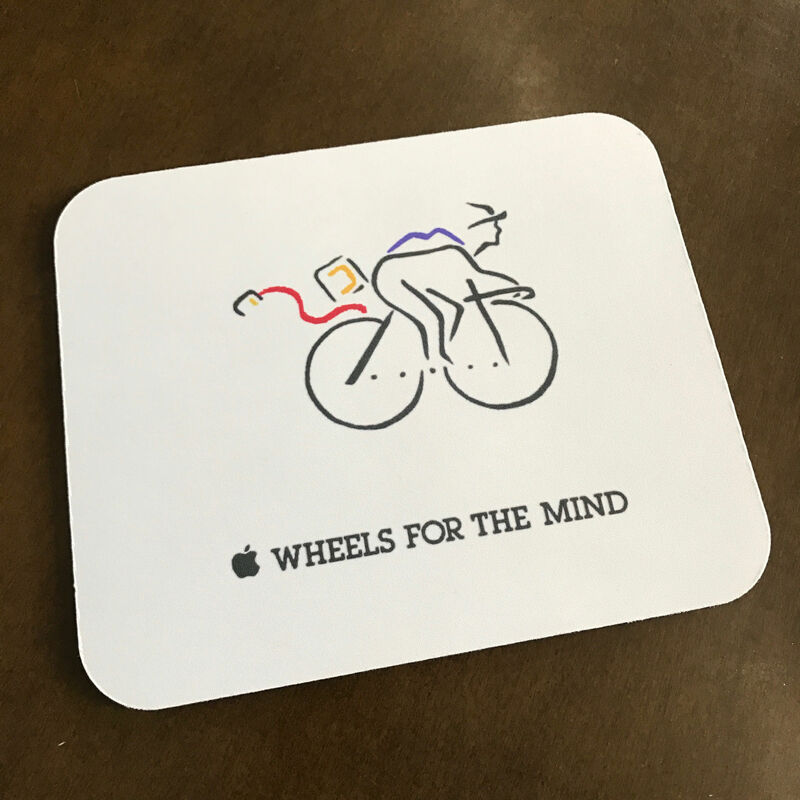 Figure 2: Apple’s “Wheel’s for the Mind” campaign mousepad. As it is also written in the “Critical Cycling Manifesto,” Cycling is fun before anything else. When I first rode a bicycle, it was the most fun I had ever had. Cycling unites our senses and bodies with our latent subconscious, freeing the coagulated patterns of our explicit consciousness. The delight of propelling oneself forward with the turn of the pedals and wheels; the exhilaration of taking a curve using handling and shifts in one’s center of gravity: before long, endorphins are secreted into the neural rewards system. Furthermore, the bicycle has always been characterized by personal freedom. Young boys and girls are convinced that they can use bicycles to go anywhere. Though the wheel was originally invented in prehistoric times, the bicycle did not come onto the scene until after the liberal and industrial revolutions. 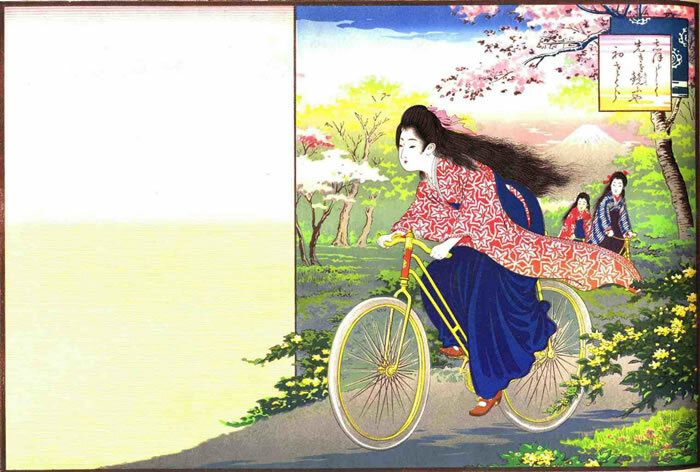 Kunio Yanagita writes of the lamentations of the eldery in the Meiji and Taisho eras: “since bicycles have come into the village, the youngsters go out and cause trouble.” Surely, this is an example of bicycles becoming the wind and wings of consciousness and freedom. 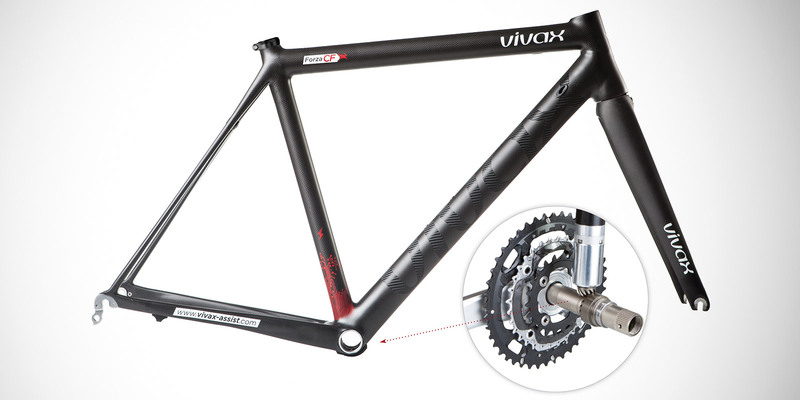 Without a doubt, the bicycle itself is a product of technology and industry. The bicycle, which looks purely like a machine, contains nearly all the elements of mechanical engineering. Or rather, perhaps one should say that it is a collection and purification of technologies. In the same way, we too are simplified when we cycle. The bicycle shares this mastery of motive technology with other vehicles, but it is uniquely the bicycle that uses our very bodies for propulsion. Here, body and machine body and machine are optimized. Reduced weight and increased aerodynamics are representative of this. If the human body has limits, than it also desires comfort. However, body and machine are united in struggle. From electric assisted bicycles to “mechanical doping,” we seek a balance of antinomies. This is decidedly different from luxuriously inflated machines that essentially provide automatic propulsion. Once we consider bicycles consciously, this becomes connected with the heuristic approach. Bicycles become a mirror that reflects people and society, exposing the future. Regarding this point, the bicycle may be a tool and media for critique. This also manifests epigenetically. 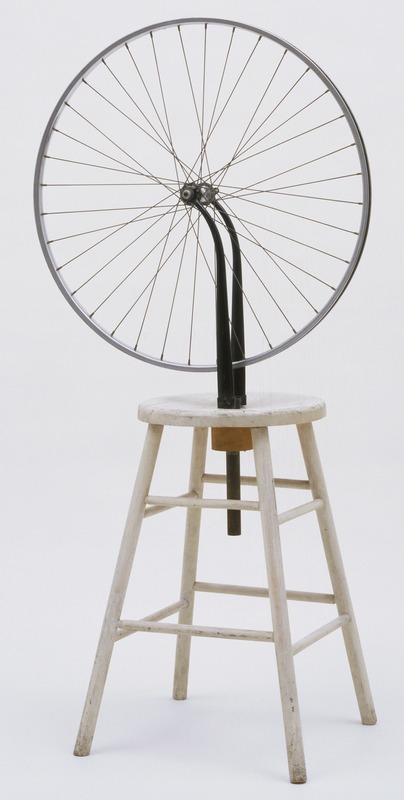 It appears in “Bicycle Wheel,” the origin not only of kinetic but also interactive art, though Duchamp says he just made the thing for laughs. Similarly hear, one hears of many cases of people making new discoveries after starting to ride. Therefore, all we need to do is cycle for enjoyment and simplicity. At the same time, we are also consciously increasing our applications of cycling in the fields of city policy and tourism promotion. London, announcing the cycling revolution, asks the question: “let us imagine: can we discover a way to eliminate congestion on roads and railways, get rid of noise pollution, and do away with pollution and pollution-related illness?” Yes, bicycles can solve these contemporary urban problems. In the best residential areas along the Thames, a number of cycle superhighways, a single lane of which is wider than a car, continues to the suburbs. Paris’ Vélib, a representative example of urban bike-sharing, has nearly 30,000 bicycles at close to 2,000 locations. 50% of those in Copenhagen, which aims to be the number one city for cycling in the world, commute by bicycle. There is a research report alleging that public investment in bicycles yields as much as 20 times the cost in benefits. In this way, a city’s vitality and charm can be measured in bicycles. 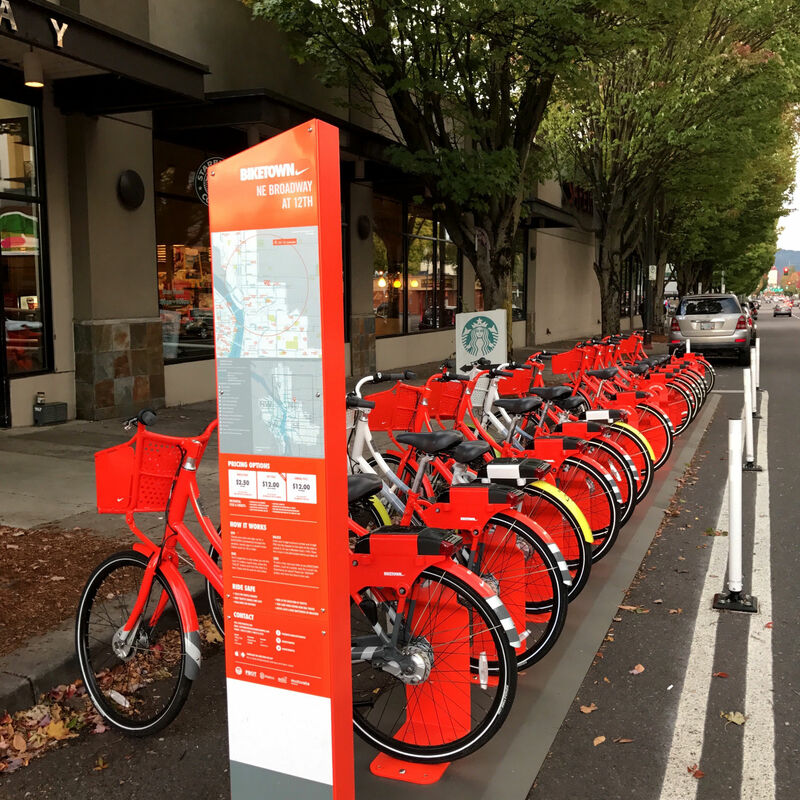 Figure 6: The City of Portland’s bicycle sharing system, BIKETOWN. Japan is different from Europe and America in that its city fathers are unwilling to take bold steps for urban renewal; however, it is also unique because, in spite of this fact, cycling is strongly tied to tourism. The manga Yowamushi Pedal has set off a cycling boom among “boy’s love” enthusiasts and awkward teens. Bicycles are seen as playing a part in “third wave style” fashion culture. 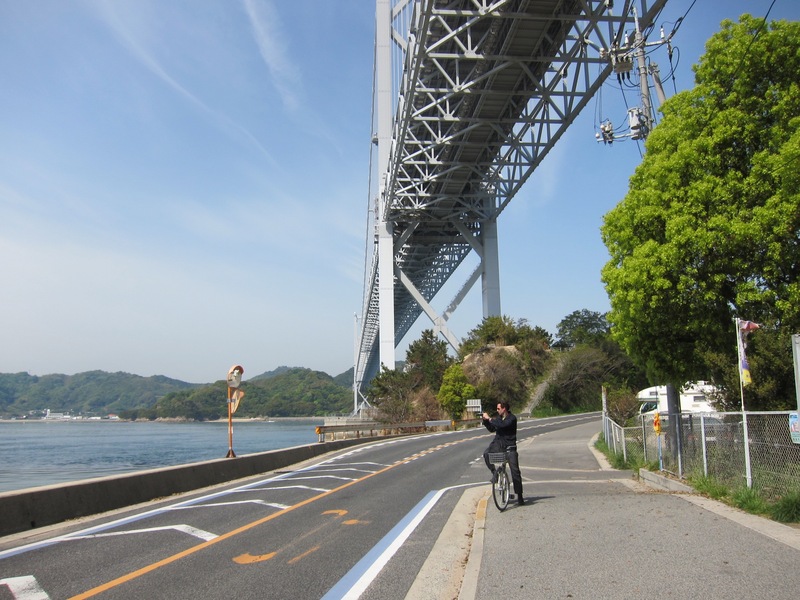 The “Shimanami sea road,”(from Onomichi to Imabari) and Lake Biwa, places that have been previously regarded as lacking in tourist attractions, have gained enormous popularity as sacred ground for cyclists. 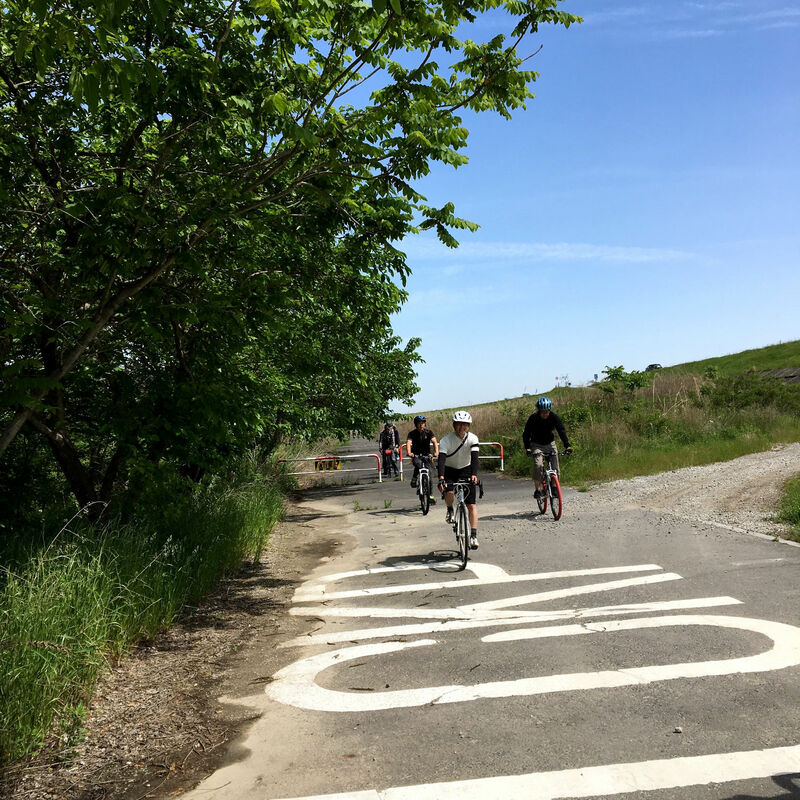 The prerequisites for this popularity are splendid scenery and a rideable road, so regions all over Japan are trying to recreate their success. 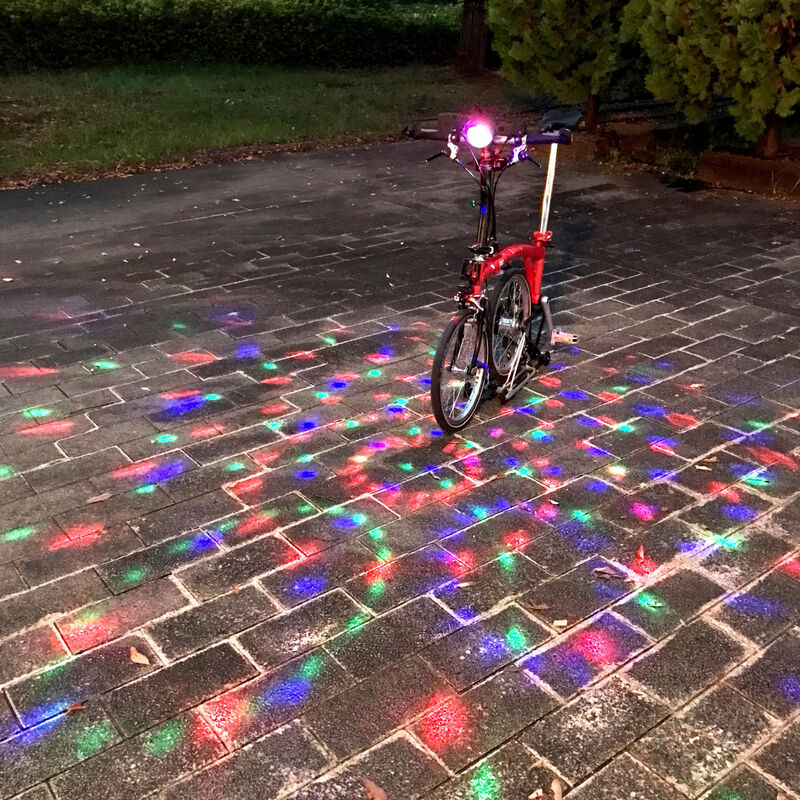 Traditional tourist spots like Kyoto and Nara are getting involved as well, planning to use bicycles to diversify methods of touring. Cycle culture and cycle tourism are some easy-to-understand charms of the bicycle. Going back to its origin, the bicycle is a means of transportation. In other words, it is mobility. Extending upon that, it is connected to mobile technology such as the smartphone. However, a smart phone is nothing more than a small computer. You can walk and use a smartphone, but you cannot run and use a smartphone. Can mobile computing escape from its dependence on sight? Along those lines, can mobile Art, which began with the work of Alexander Calder, be separated from the gallery and progress to the road? Because, as we have declared, bicycles are fun, cycling is readily capable of self-sufficiency. You would not would to write a paper while riding a bike, and elaborately detailed “art” is not necessary for riding. Cycling may have a high affinity with AR (Augmented Reality), but that is as of yet the unknown factor. Figure 9: A cycling road in Seino. This paper “The Genesis of Critical Cycling,” published in the March 2017 “Journal | Institute of Advanced Media Arts and Sciences”, was translated into English by Daniel Burt.